By spending tremendous amount of effort and resources, the Dealshelve team would like to present to you -- Dealshelve 2.0, a major upgrade that covers both back-end core engine and user interface. It is much more powerful, informative and user friendly. Dealshelve 2.0 makes it easier for you to find your favourite deals. 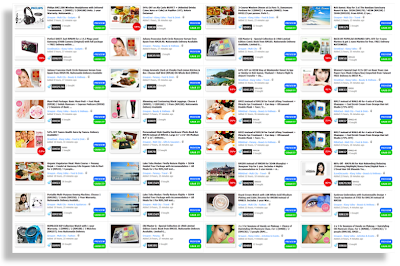 With the re-organized and simpler user interface, the smart sidebar can help you to quick search and filter listed deals by city, deal sites, prices or even categories. 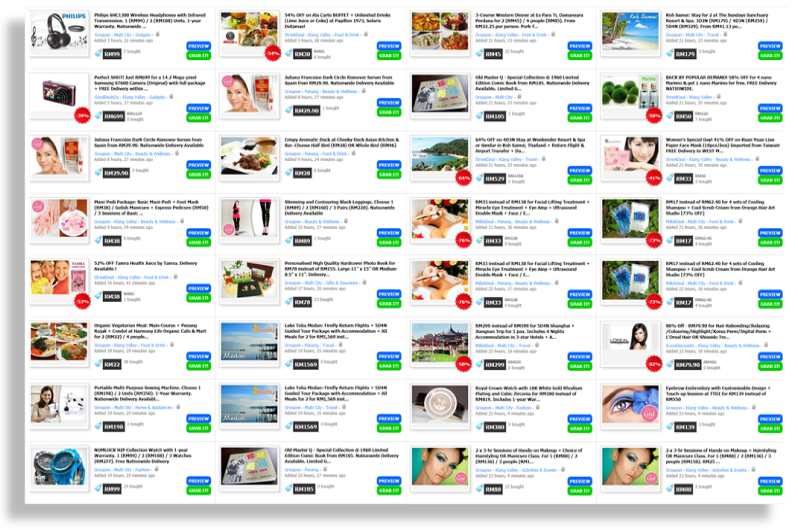 By redesigning our back end core engine, Dealshelve 2.0 is able to show you the complete list of deals within your country (Malaysia, Singapore, Philippines). 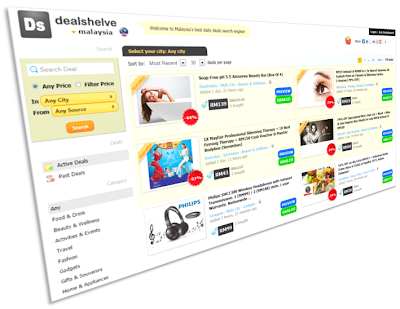 By browsing Dealshelve, you are up-to-date with all active deals from different deal sites. 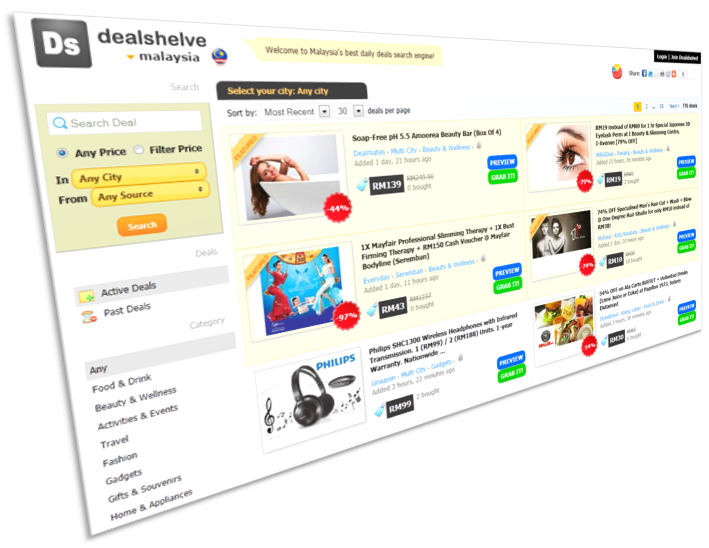 The newly design Dealshelve 2.0 core engine is smarter and able to bring you every single sub deals from the deal source. With the newly introduce "Preview" feature, you can get to know more about the details of a deal without wasting time to redirect to the specific deal site and spend time loading the whole page. 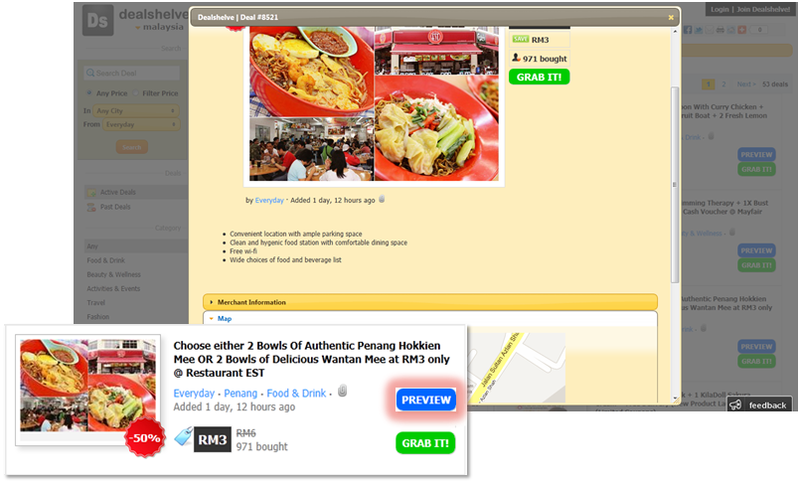 Dealshelve "Preview" feature makes your surfing easier by showing you the deal's description, merchant info and map immediately, right on Dealshelve page.